Sacraments are special ministries that convey God’s love for us. They provide a glimpse of who God is and what God calls us to be. As we are blessed by the sacraments, we receive power to share the peace of Jesus and to fulfill Christ’s mission in the world. Baptism is a personal expression of faith in Jesus Christ. Through baptism, we are committing ourselves to keeping the commandments of Jesus and to living out his mission. We are promising that we will welcome the stranger into our lives, feed the hungry, love our enemies, and visit the sick and the imprisoned. Ministers of the church perform baptisms by fully immersing the person in water. A person must be at least eight years old to request a baptism. 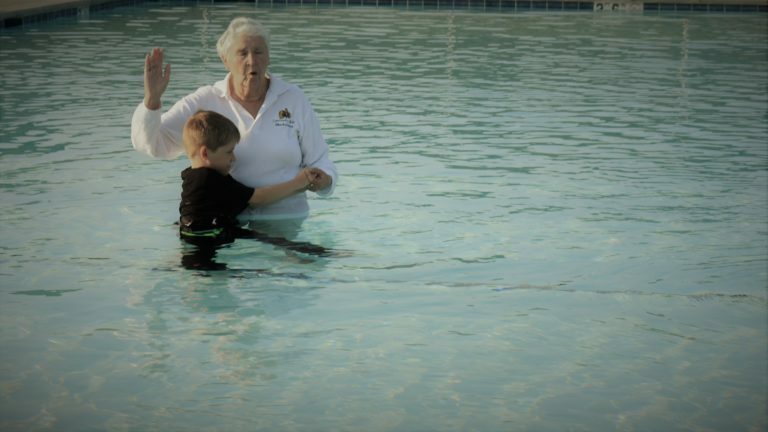 In Community of Christ this is recognized as the age when a person can fully understand his or her baptism commitment. Following the example of Jesus, parents can bring their little children to ministers of the church for a prayer of blessing. During this sacrament, two ministers lay their hands on the child and offer a prayer asking God to bless the child and the family. Parents, siblings, or other family members often gather around the child and ministers during the prayer. This sacrament is usually celebrated in a regular worship service and is available to all regardless of membership. Communion (often called the Lord’s Supper or Eucharist in other faith communities) is an opportunity to reflect on the life, teachings, death, and resurrection of Jesus. It is also a chance to recommit ourselves to following him. 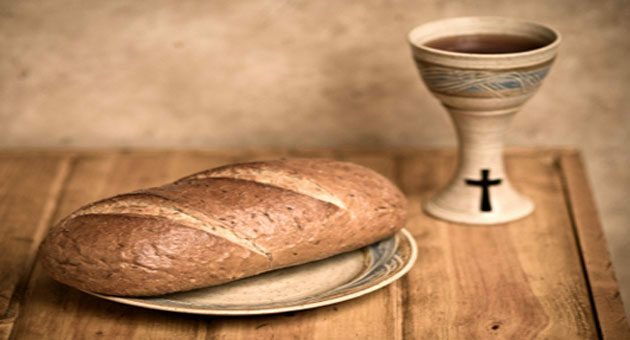 During communion, ministers of the church serve bread and grape juice as symbols of Jesus’ body and blood. Those who wish to become members of Community of Christ do so through the sacrament of confirmation. This sacrament invites God to be present in the person’s life and to empower them as they live out Christ’s mission. During this sacrament, church ministers lay their hands on the head of the person and then offer a prayer. The prayer includes words of blessing, encouragement, and counsel. Confirmation is available to those previously baptized of water, whether performed by Community of Christ ministers or other Christian ministers. The evangelist blessing is a special prayer of blessing. It provides words of thanksgiving, assurance, and counsel. When the time comes for the blessing, a minister of the church places his or her hands on the head of the person and offers a special prayer of blessing. A printed copy of the prayer is given to the person after the sacrament. Individuals are encouraged to reread the prayer throughout their lives for guidance and assurance. The sacrament of evangelist blessing is available to all who are at least eight years old. Learn more about receiving an evangelist blessing. Any person who is sick or faces spiritual or emotional challenges may ask for a special prayer of blessing. During this sacrament, ministers of the church lay their hands on the head of the person and anoint them with consecrated oil. The oil symbolizes the love of God. The ministers then offer a prayer asking God to bless the person. The sacrament may be performed during worship, but it is usually performed in the privacy of a home, hospital room, or quiet area of the church. It is available to all regardless of membership. The sacrament of marriage celebrates a couple’s decision to make a lifelong commitment of mutual support, love, and faithfulness to one another. It is a covenant made between two individuals in the presence of God and with the church as witness. Community of Christ ministers can perform this sacrament for anyone, regardless of membership, as long as local laws governing marriage are followed. All are called to live out Christ’s mission, but some people are called and ordained to provide ministry and share the good news of Jesus Christ in particular ways. In Community of Christ some ministers are specifically called to advocate for the poor and care for the physical well-being of people. Others are skilled in reconciling conflicts or ministering with families, congregations, and community. Some ministers are called to develop and nurture sacred communities, and others are called to build bridges between cultures and generations. In Community of Christ both men and women can be ordained. Find out more about Ordinations.